Chemical Constituents and Components : Major chemical constitutes are L-Dopa, mucunadine, mucunain, mucunine, phenylalanine, prurienidine, prurienine, amino acids, alkaloids, lecithin and tannins. L-dopa: 1. It act as precursor of the neural transmitter dopamine. 2. It causes significant effect on glucose metabolism and arterial blood pressure. 3. It stimulates the natural release of growth hormone. 4. It functions to activate depressor neurons in the nucleus tractus solitarii (NTS) and caudal ventrolateral medulla (CVLM). 5. It plays major roles as a neurotransmitter for baroreceptor reflex and blood pressure regulation. 6. It reduces body fat and decreases cellulite. Curing Diseases : 1. 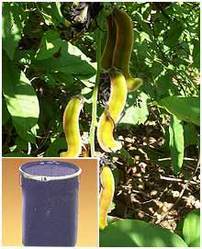 It is used to cure fertility disorders, Parkinsons disease and leprosy. 2. It is useful in constipation, strangury, dysmenorrhoea, amenorrhoea and ulcers. 3. It is used in inflammations, verminfuge and general debility. Possible Combinations : Mucuna pruriens + astercantha longifolia + withania somnifera+ myristica fragrance + shilajith (treatment of insomnia).